Scratch Render is generally applied directly onto blockwork in New Build scenarios, being now well established as a far superior product to that of traditional sand and cement render. Scratch Render is also used in refurbishment projects on top of existing substrates in addition that provide excellent long-lasting finishes. The benefits are a fast application of a long-lasting durable weather-proof surface which can instantly transform an old house into new. Thin-coat acrylic and silicone flexible renders are particularly suited to large projects where maintenance is or could be an issue, more often than not thin-coat acrylic and silicone renders are applied on to external wall insulation systems and are also suited very well to refurbishment projects where substrate cracking has been an issue in the past. This, coupled with a base coat and full mesh acrylic and silicone render, out performs any other system as they have “self-cleaning” abilities. 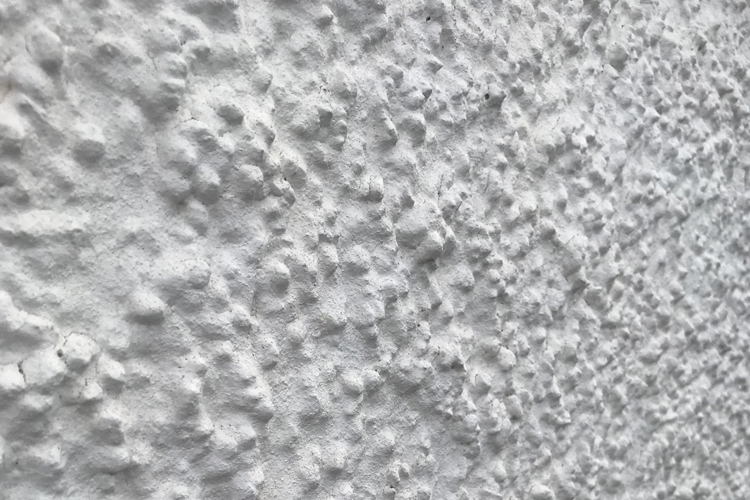 External wall insulation systems totally encapsulate the building structure which is the most effective way of insulating a building, with the least risk of cold bridging and interstitial condensation. This has proven popular as it is a means of reducing carbon emissions by saving money on energy use as houses become more efficient in the retention of heat. A variety of finishes can be achieved onto insulation as seen on this page. Granite, like brick, is heavy and energy intensive to find, produce and transport. To accommodate its weight, a building also requires more concrete and steel structural support – adding to the cost and environmental footprint of the project. Render finishes can now recreate stone finishes that are an environmentally sustainable, 21st century alternative – allowing you to create the appearance you want without the cost, duration and environmental impact associated with heavier materials. Brick Effect is a ready to use polymer modified cementitious render, used to create a brick effect finish. The system is applied in two different coats, the mortar coat and the face coat. The top coat is cut through to expose the mortar base coat, creating the full brick and mortar joint effect. The joints produced are slightly deeper than our Custom Brick finish and it is extremely versatile as joints are cut on site to suit. 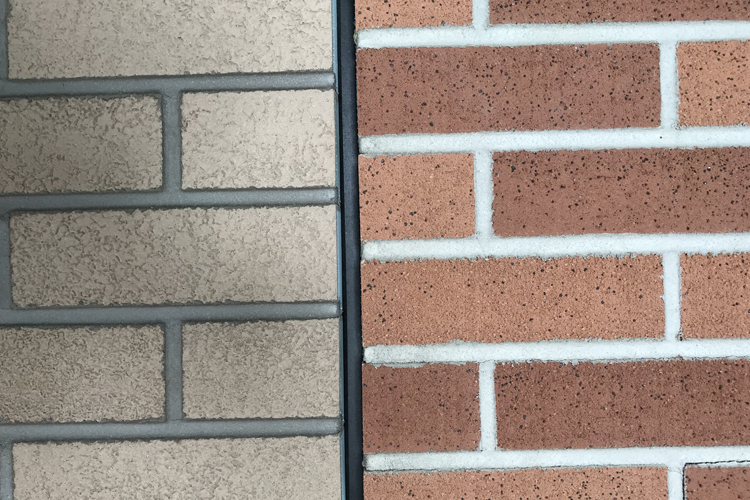 The finishes are available in a range of typical brick colours to satisfy parochial requirements. Features enable you to transform the exterior facades of a new build and renovation projects. Traditional features include cornices, pilasters and corbels with more contemporary ranges available to achieve your desired look. Special custom designs can be created for specific needs. This is a viable and cost-effective method of reproducing either the look of traditional buildings on the most modern of developments or transforming a façade into a contemporary work of art. Cladding provides thermal insulation as well as weather resistance of a building, while providing a nice aesthetic finish to the exterior. This can be made from a wide range of materials including wood, metal, brick, vinyl, and composite materials. Between the wall and cladding a cavity is left that allows rain to run down and when fitted correctly, no damage will take place to the insulation. Wet Dash Render has been designed to recreate the traditional dash walled finish. The products are designed to provide a weatherproof and decorative finish. The lime coating known as harling or wet dash is a combination of aggregates and lime, mixed into a slurry consistency and applied in a fluid state. Dry Dash is a form of render in which the top coat is roughly textured by pebbles or stone fragments. Material is mixed with mortar and then thrown at the surface, so all the material is coated with the mortar. It is an excellent low maintenance alternative to dry dash and traditional painted finishes. It is specifically designed to incorporate the benefits of silicone water repellents into a cement based render system. All plastering services are offered, with no job too big or small. Whether it be a large scale commercial job or a smaller residential job looking for some plaster repairs - we have experience in all areas. This plaster is a specialised polished finish. 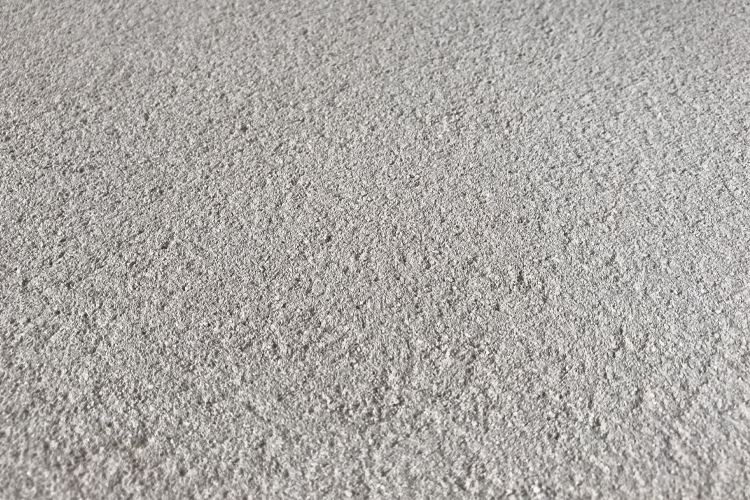 The technique creates an original finish that looks grand and unique. This has proven to be a popular option with customers who want this finish for their feature wall. We can create cornice and fit cornice, which is all made locally in Edinburgh by our specialist. 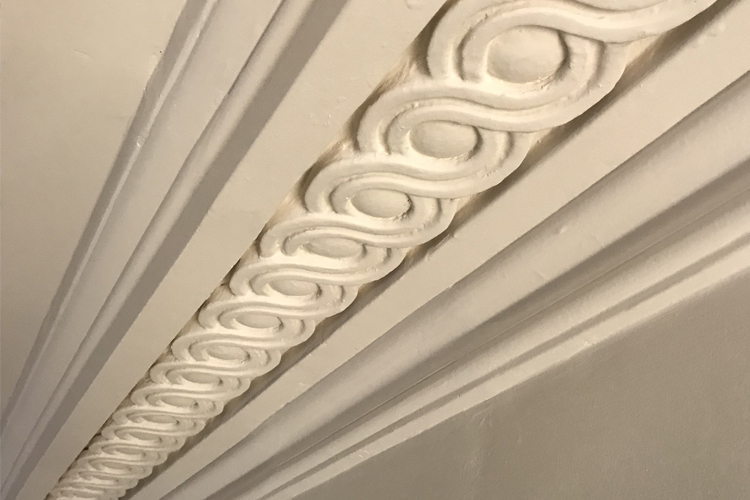 We can also match existing cornice and do repairs to what you may already have in place.